Earlier in the year we bought you a fantastic design from the talented architects at the Hong Kong based OVA Studios. The outline for this model was a cleverly put together hotel, constructed from recycled shipping containers – it’s name was The Hive Inn. 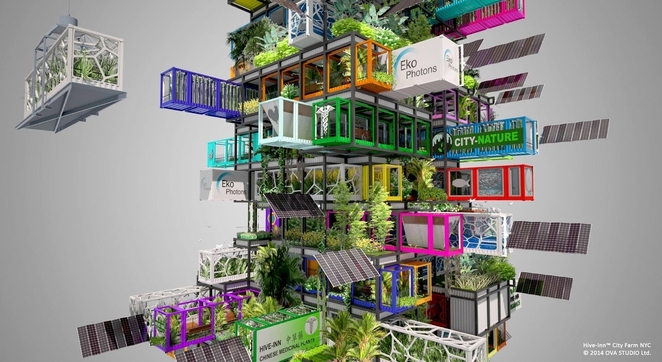 Well, OVA Studios have been at it again, and they’ve used a similar design to The Hive Inn to create an amazing vertical farm. As physical space becomes a very limited resource, OVA Studios believe the best way to combat this problem is to build upwards. 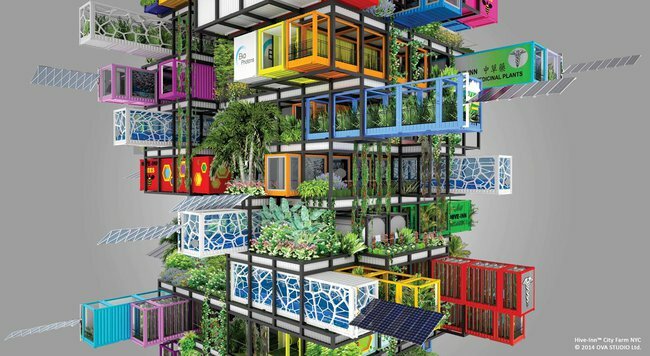 And we think that they are onto something, using strong and sturdy recycled shipping containers. With their stackable nature and strong, sturdy construction, the design centers on a frame that each container slots into. The units can then be removed and replaced if required. 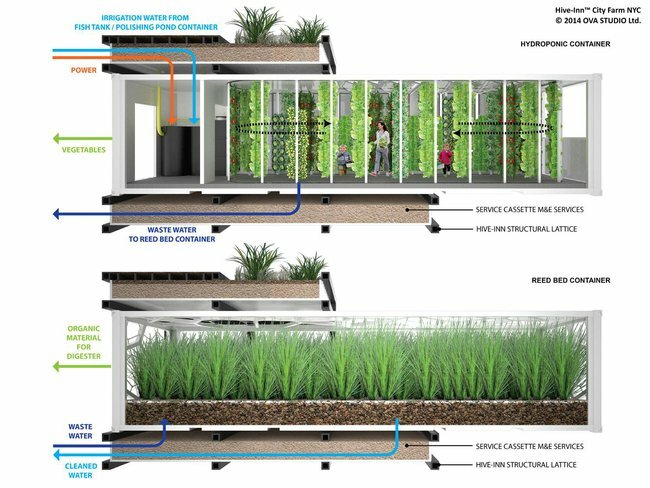 Each container plays a part in producing food, harvesting energy and recycling waste and water. This design draws its name from the previous invention and is appropriately named The Hive Inn City Farm. “The idea of this ecosystem is to bring farming down-town and grow fresh produce near their urban consumers. Containers can be owned or rented by major organic brands, local restaurants or even serve as private local gardens / kitchen gardens. They can also serve educational purposes for the neighbouring schools.” OVA is quoted as saying.